Albeit in a different role. 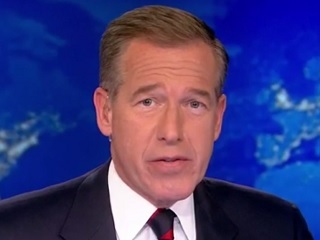 NBC News executives must think Brian Williams has suffered enough, because according to CNN Money, the network is looking to bring him back to the airwaves. If Willams does come back, it would likely be in a different role. In February, Williams—the famed anchor of NBC Nightly News—was given a six month suspension without pay when it was discovered that he fabricated stories in a weird effort to make himself appear more brave than he actually is. The good news for Williams is that NBC News chairman Andy Lack is the man spearheading the negotiations. A source told CNN Money that Lack has held meetings in which he asked staffers to “think creatively” about new roles for Williams. Let’s all note the irony of that.